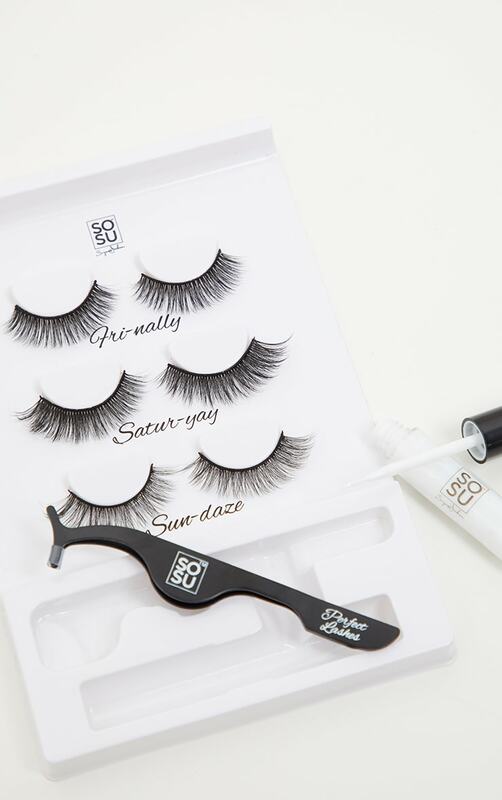 The Weekend Vibes lash set will take you from Friday through to Sunday with the perfect lash for each day. These lashes have a curved band for easy application and 3D synthetic fibres for a fuller but light weight look. 1. Trim the lash as necessary to fit your eye. 2. Always allow glue to get tacky, leave for 30-60 seconds before applying. 3. After each wear use tweezers to remove excess glue, brushing them through with a spoolie before popping into your Lash Case for safe keeping.